Prismatic bicolored crystals of lepidolite on microcline. 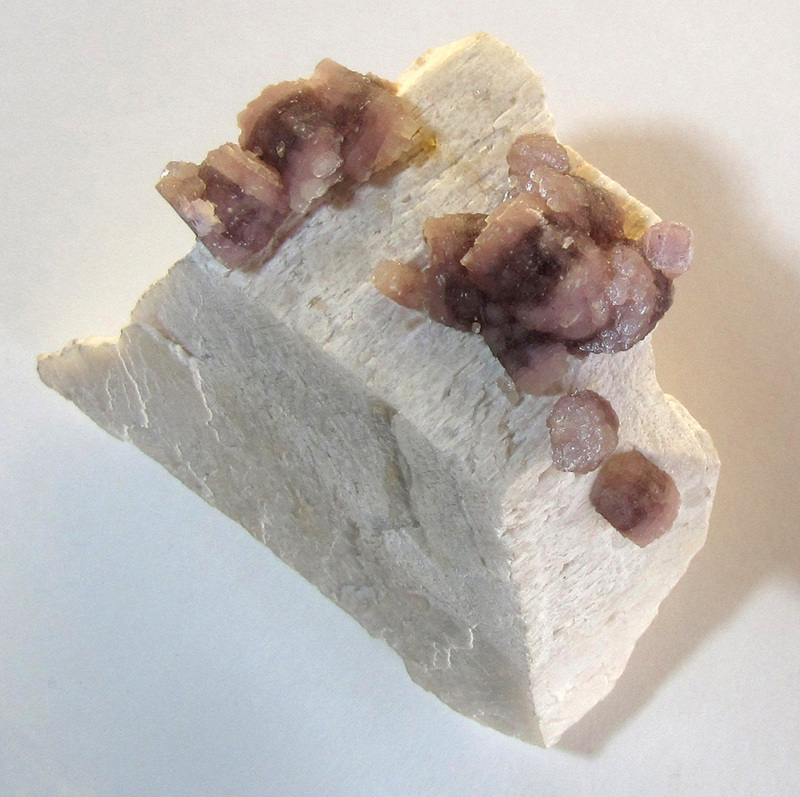 Each lepidolite crystal is dark purple in the middle and lilac on both ends. Top surface of microcline crystal 3.5 cm across (measured from lower left to upper right). Collection and photograph Norman King. Ex-Donald Cooke.